Flashback!!! Compact Imports at the 1987 Chicago Auto Show... is this the beginning of the econobox era? This video has popped up on Facebook and other social media just recently. It's a flashback to the early days of the 'econobox' era. The title of this video refers to compact imports yet there's several domestic manufacturers shown. The '88 Mercury Tracer was a rebadged version of the Ford Laser model already sold in Asia and Australia, which was itself a restyled Mazda 323.The '88 Pontiac LeMans was manufactured by Daewoo and the '88 Mitsubishi Precis was a rebadged Hyundai. To top that off, the Ford Festiva was engineered by Mazda and manufactured by Kia. Mazda is Japanese; Daewoo, Hyundai and Kia were all based in South Korea. I noticed that the Ford Festiva was presented as being equipped with a 1.1 litre engine with a 1.3 litre as an option. Although the smaller engine was available in other markets the larger, 1.3 litre, was the engine that came as the standard in North America. Not all of the cars in the video are what I would consider an econobox though. The LeMans is borderline and the VW Fox isn't really a "box". 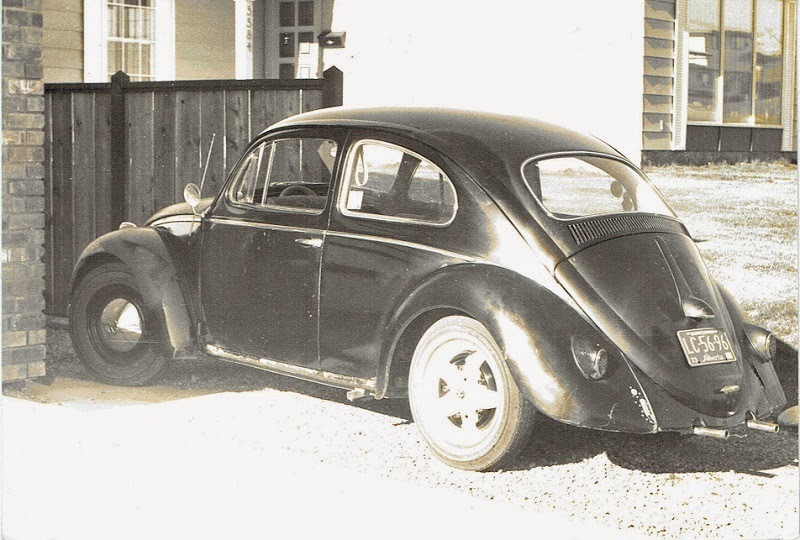 I recently came across a couple of photos of one of my early cars. This was my second car and the first I ever bought from a dealer. It was 1975 and I paid $400 for it. Can't remember how many miles were on it at the time but I do recall it needed a new windshield and within a couple of months of ownership I had to replace the brakes. Even back then I couldn't leave things stock. I wanted to up the performance a bit so I installed a Mr. Gasket dual point distributor and a carburetor from a '69. The choke had to be converted to the '59's 6 volt system from the '69's 12 volt. I purchased an AM/FM radio and a voltage converter to go with it. 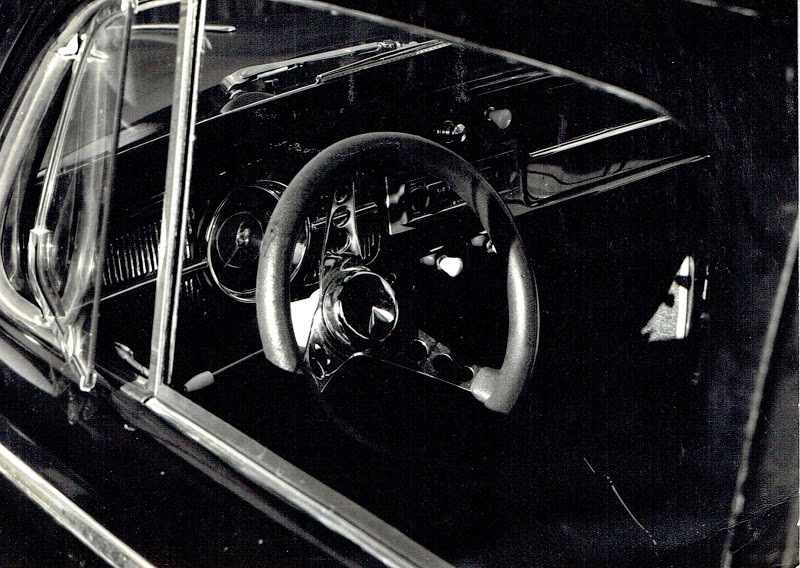 Other modifications were the custom steering wheel and interior door panels. I also started on painting the stock steel wheels to resemble the then popular Jackman 5 spoke steel wheels. The reason I'm sharing this is that the photos reminded me of my first road trip! I had only had my driver's license for a couple of years and hadn't ventured much more that two or three hundred kilometers from home. Friends had recently moved from Calgary to Campbell River BC, which is located on Vancouver Island, and had extended an invitation to come and visit. That was the seed for my first solo road trip. There was no gas gauge in the early Beetles so planning for the trip was based on an estimated fuel consumption and how far I thought I could get without risking running out of gas. It turned out that my initial estimates were very conservative. My route took me west from Calgary along the Trans-Canada highway through Banff with the first scheduled fuel stop in Golden BC, 265km / 164 miles away. I only needed 18 litres / 4 imperial gallons of gas which netted me 40 miles per gallon. This turned out to be the average for the whole trip, 1600 miles and 40 gallons of gas. The Coquihalla Highway was still 10 years from being opened so my route followed the Trans Canada Highway through Fraser Canyon. I remember the exhaust developing a leak somewhere after Kamloops BC. In those days oil came in cans so I stopped at a gas station, asked for an empty can, purchased a couple of clamps and had my exhaust quieted down in no time. Stopped at a campsite near Hope BC overnight planning an early start the next morning. Made it to Vancouver in time for the noon ferry across to Nanaimo BC and then headed up to Campbell River from there. The trip was a lot of fun and other than the exhaust patch I had no problems with the car. I didn't run out of gas either! I showed the pictures to the family the other day and one of the first things they said is that I should have kept the car! Perhaps they were right. Do you remember your first road trip? Please share it by commenting below.